Emperor Shun Zhi or Fulin Aixinjueluo (see picture below), the 1st Emperor of Qing Dynasty after Mancus conquered China died at age of 24 and was buried at Xiao-Ling. The East Tombs of the Qing Dynasty is located in Malanyu, Zunhua Country, Hebei. 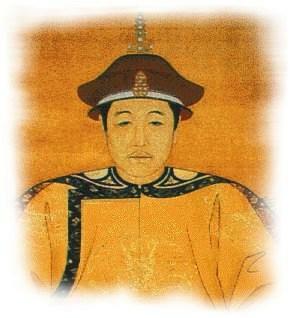 Construction started in 1661, the 18th year of Emperor Shun Zhi's reign. In total, 14 tombs were found. During that period, a site was chosen based on many Feng Shui considerations. For example, the site must have good foundation, soil, irrigation and must blend with the natural surroundings. All Qing Dynasty tombs faced south with the dark side (Yin) at the back and the sunny side in front. The reason for this was to avoid the cold west and the north wind. The Hills were selected because of it's harmonious and symmetrical form, height and length. The dragon hill blends harmoniously with tiger hills. the Many East tombs of Qing Dynasty have this feature. Emperor Shi of West Qing Dynasty had personally appointed high ranking officials to organize a Ministry under it's direct supervision in choosing geomancers, prospectors, architects and craftsmen. This shows the importance placed on Feng Shui in construction in that period.